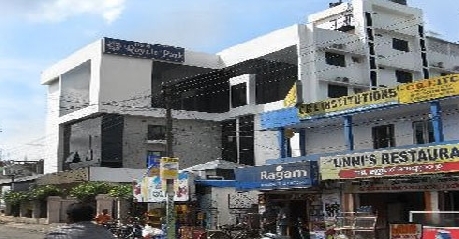 Hotel Royale Park Alleppey is located on YMCA road that connects to Madurai Road. 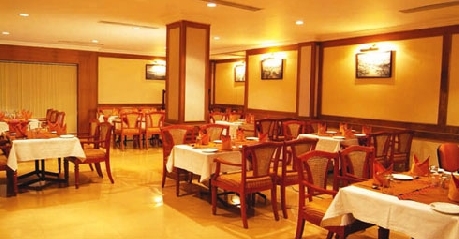 Placed opposite to Veeraiah Theatre, the hotel caters to economic class guests. For its superb hospitality hotel provides Outdoor activities, Guide service for local sightseeing and airport transfer facility, on chargeable basis. 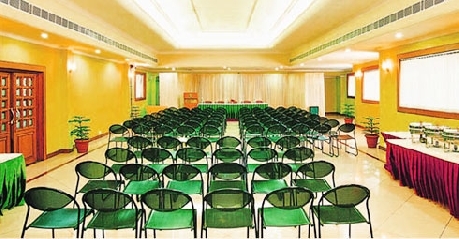 To serve Corporate delegates, hotel provides conference halls for business meetings and events. You can also book banquet hall for wedding or other special occasions. 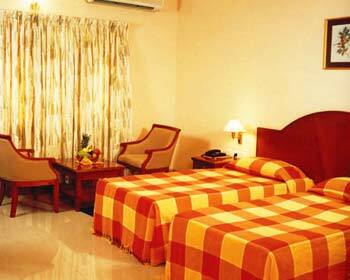 Hotel can be reached from Alleppey Railway station which is 3 km away or from Kochi Airport 86 km from hotel. Alleppey is famous for its crowd pulling tourist spots such as Edakkal Caves, Krishnapuram Palace, Ambalappuzha Sri Krishna Temple, Chettikulangara Devi Temple, Mullakkal Temple and St. Mary’s Church. Vembanad Lake and Pathiramanal Lake are to spend your evening by the shore. Nehru Trophy Boat race is known for its thrilling sports activities. Nearest beaches are famous Alappuzha beach, Alleppey beach and Marari beach. Deluxe rooms are the budget rooms at Hotel Royale Park. It is suitable for business travelers, leisure travelers, families and small groups. 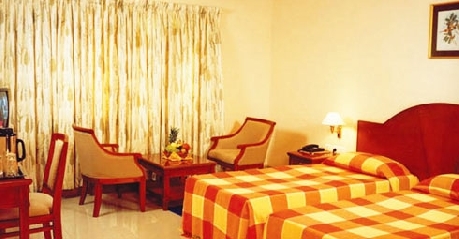 Guests have the option to choose A/c rooms or Non-A/c rooms. The vibrant colored rooms are equipped with twin beds, a coffee table, 2 sofa chairs and an executive work desk with a chair. The large room windows open to City view and maintain the sunlight in the room. The complimentary facilities in the room are – cable television, Wi-Fi internet access, laundry service, intercom facility, room service during day, in-room safe, direct dial telephone and chargeable mineral water. The private attached bathroom is provided with shower, running hot & cold water facility and basic bathroom toiletries. If you are a bit too choosy about the accommodation in a hotel, just relax! Hotel Royale Park in Alleppey offers you both air-conditioned as well as non air-conditioned rooms with attached bathrooms, hot and cold water, telephone and television. The rooms are spacious and well decorated, thus adding up to a very pleasant stay for every guest. 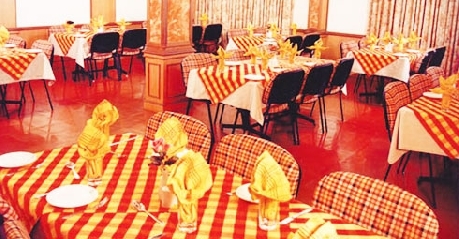 The in-house multi-cuisine restaurant serves Indian, Chinese and Continental style of dishes. It also serves traditional local cuisines. Restaurant is open for lunch and dinner only. The contemporary styled restaurant is lit up by yellow lighting lamps, wall paintings and décor furniture. The attached Coffee shop serves sumptuous breakfast and supper with its traditional South Indian snacks joined in with freshly brewed Coffee or filter coffee.